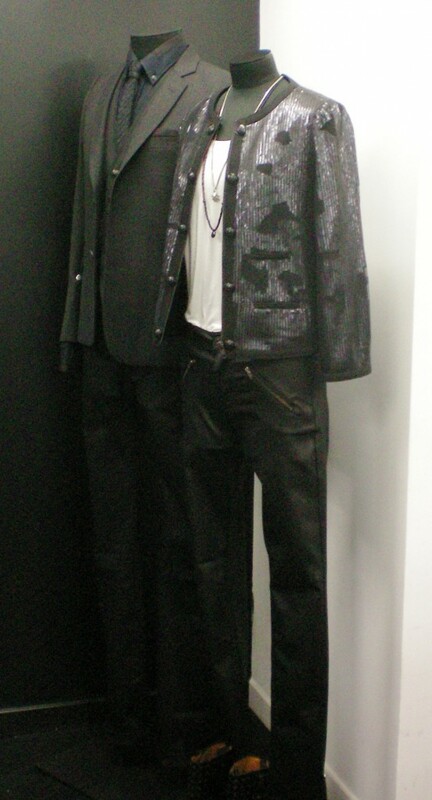 The Kooples is my personal favorite of all hot French brands right now. Their current collection has everything u need for a stylish winter: just the right dose of glam-rock, versatile pieces, a style-mix of Paris and London and the coolest basics. I WANT EVERYTHING! Like the Burberrys. Just cooler. Nati tried this zipper-skirt. I loved it on her! Shine is probably the best multibrand-store I’ve been to in a long time! It’s located in a small side-street of Rue vieille du temple and they have only the best stuff: Margiela, Acne, See by Chloé, Markus Lupfer, Stella McCartney, Repetto…doesn’t that sound like your fantasy high-street;-)? Plus the staff is super friendly (considering they are Parisienne…haha!). 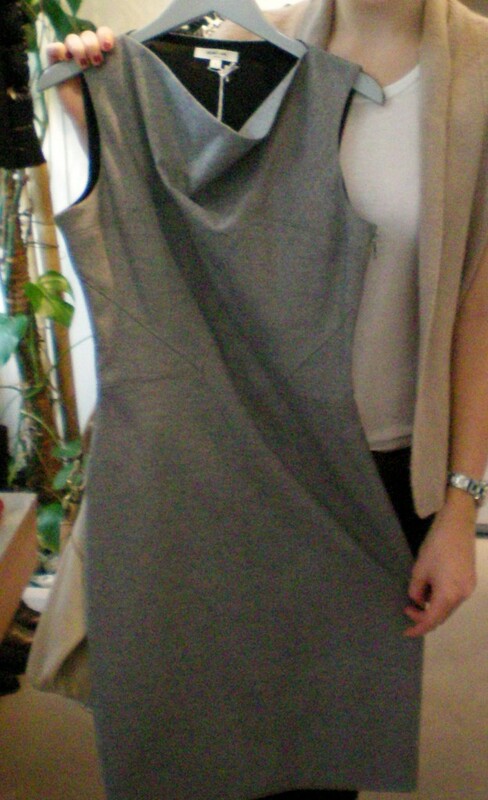 I fell in love with this Helmut Lang dress. One of the best brands in my mind…It’s just so hard to find (and yeah: expensive too!). Nati’s favorite: The Repetto Garbo booties in a grey patent leather. Was sold out in her size unfortunately but we’ll keep on hunting. 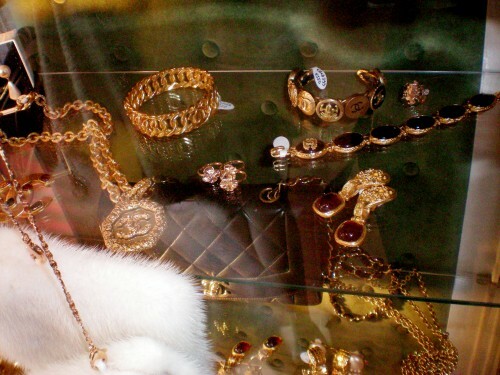 Yukiko has the finest selection of vintage Chanel EVER. 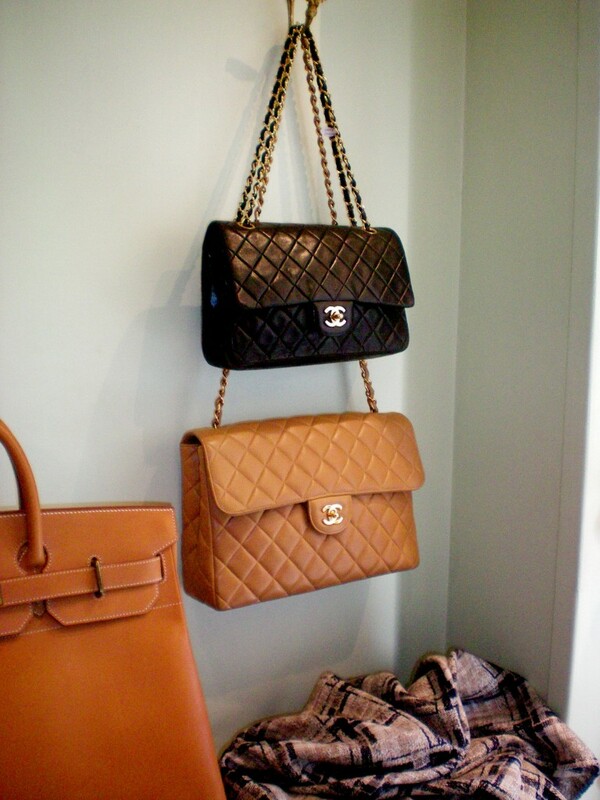 If you want to invest into a very special vintage piece come here! 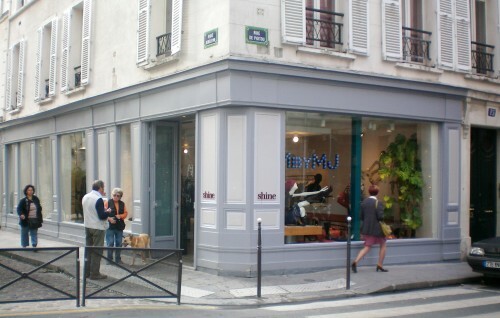 The boutique is on rue de vieille temple too. We’ll be back soon! With lots of cash…ha ha! Ich kenne The Kooples schon einige Zeit und würde echt gerne mal in einem Laden von denen sein. Die Klamotten haben einen ganz besonderen eigenen Stil. Gefällt mir richtig gut. I love love love Vanessa Bruno, I picked up some of her stuff at Madison in Los Angeles. Really beautifully made. I am so so jealous of your Paris trip! Aaah, I need a winning lottery ticket and ticket to Paris! 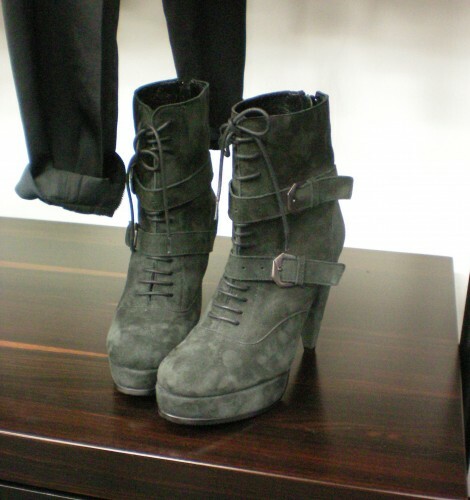 I love the grey booties by Kooples – they look so good! wonderful post!! i hope you don’t mind but I featured your image on my “What to See/Do in Paris” post. 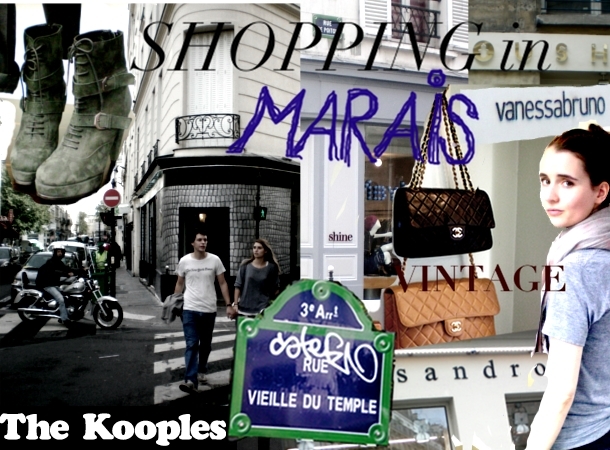 I recommended that my readers check out your post for more a “Guide to Shopping in Marais”. I like the rest of your blog as well :) Beautifully done!